I love Sunday night at 9:00 when I hear the Game of Thrones opening music. One of my favorite characters is Daenerys Targaryen, Khaleesi, Mother of Dragons. For the end game, my bests are on Targaryen and John Snow ruling the Seven Kingdoms. 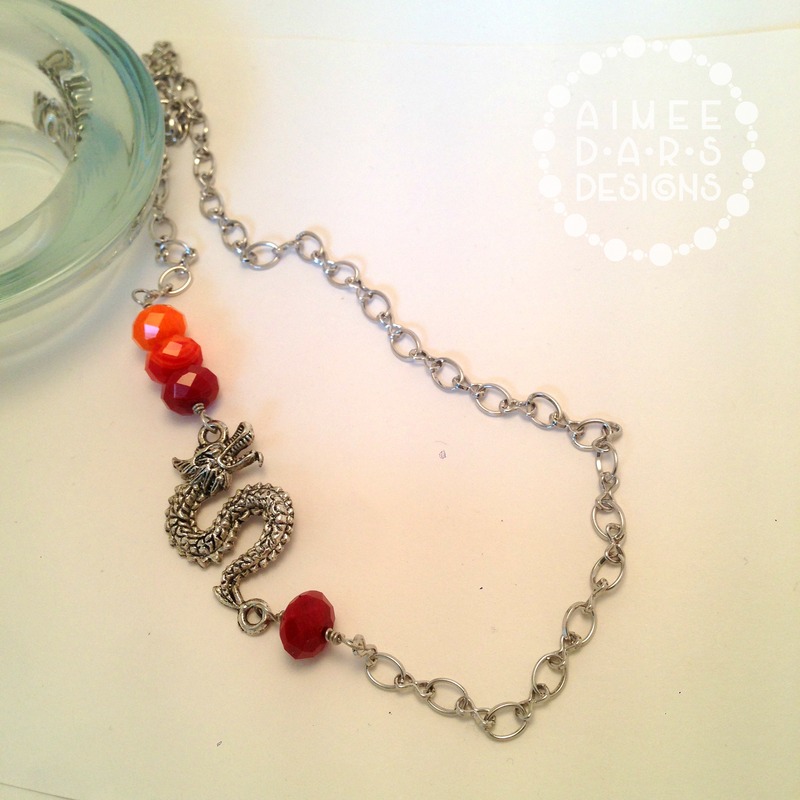 When I saw this dragon link, I wanted to make a necklace fit for the Mother of Dragons! 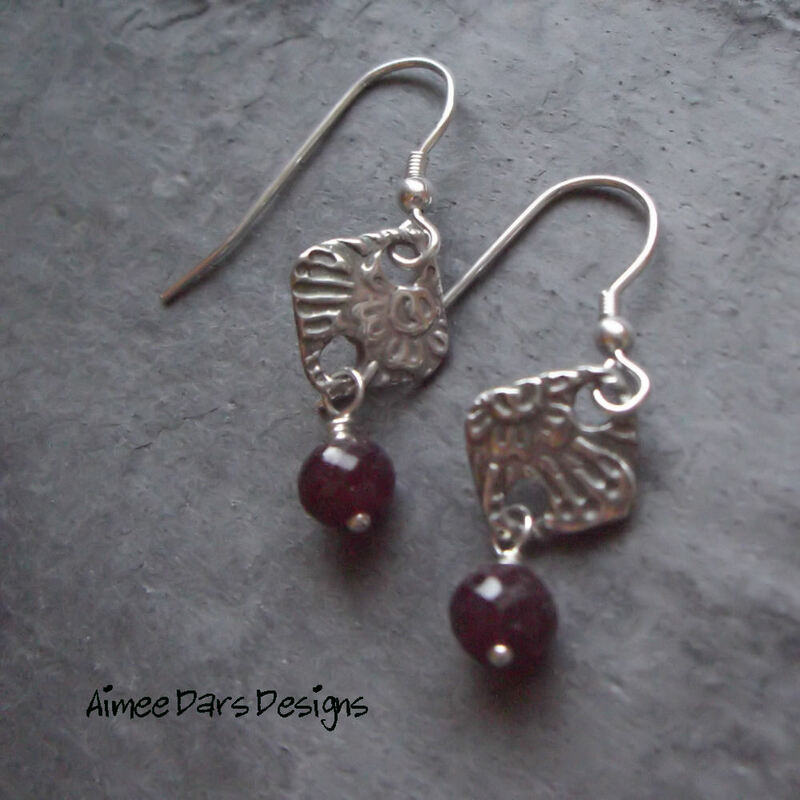 It is available to purchase in my Etsy shop. 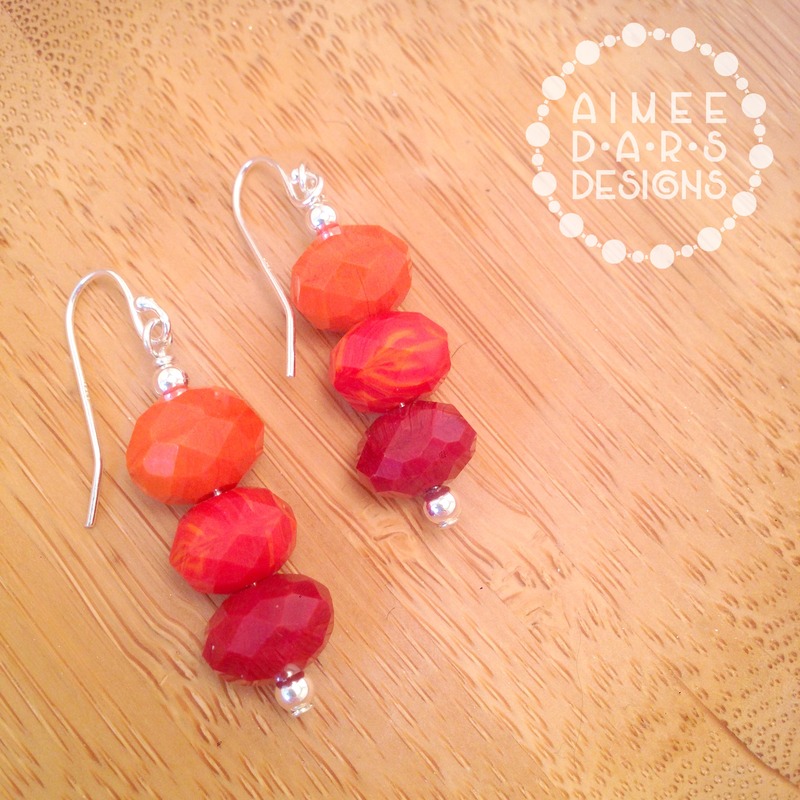 The matching earrings are listed here. 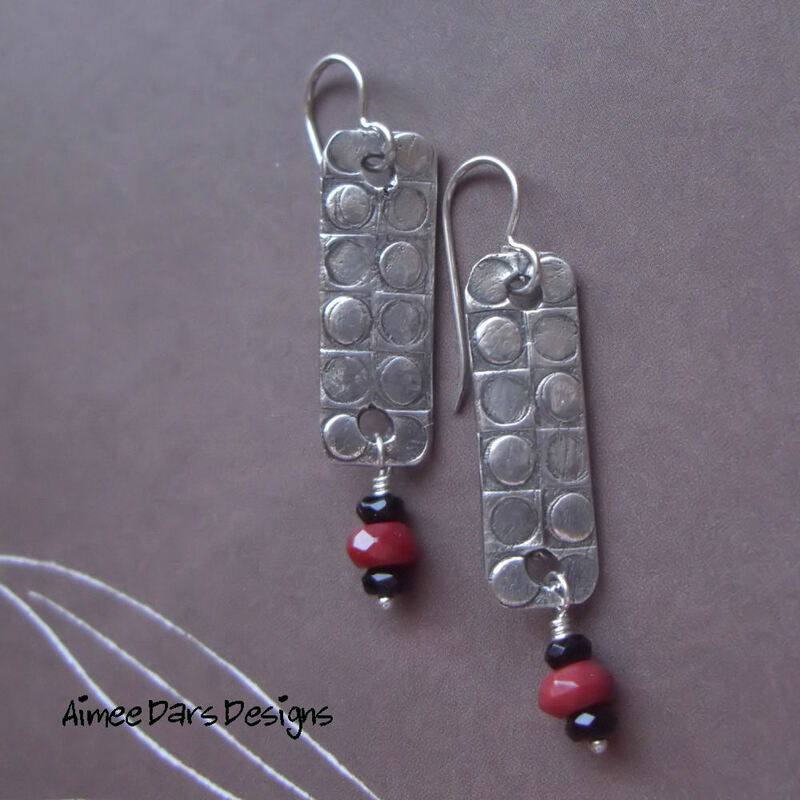 Precious Metal Clay (PMC) comes in clay form, but once fired in the kiln becomes fine silver (.999). 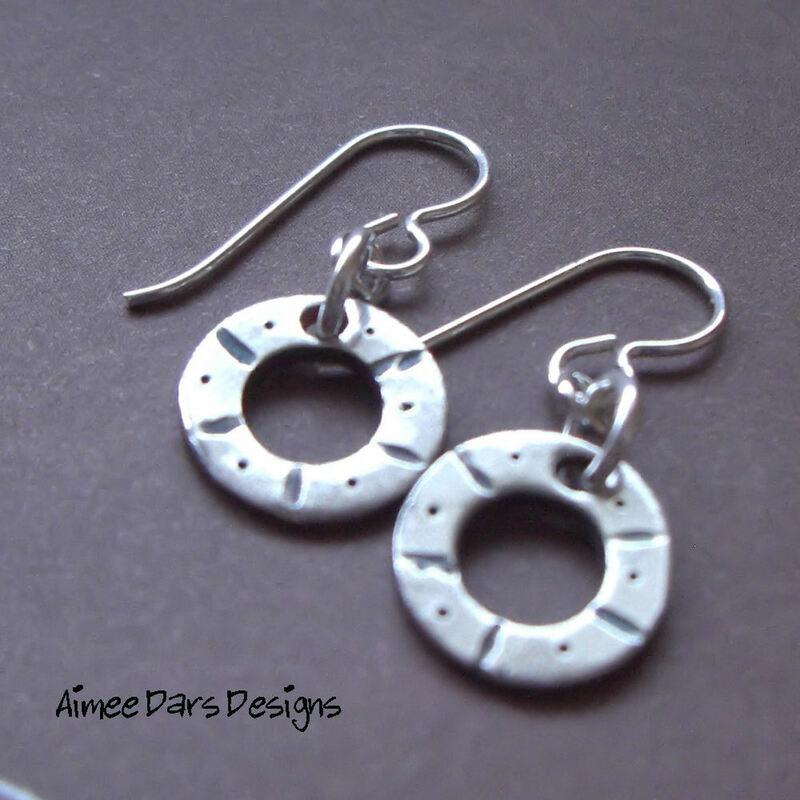 I have a lot of PMC pieces from my certification class and teaching PMC, and I’ve been incorporating them into jewelry designs. Today, I took a Viking Knit class at Creative U, a relatively new jewelry/metalsmithing studio in Cave Creek. I’ve been wanting to learn Viking Knit, but wasn’t confident I could teach myself. 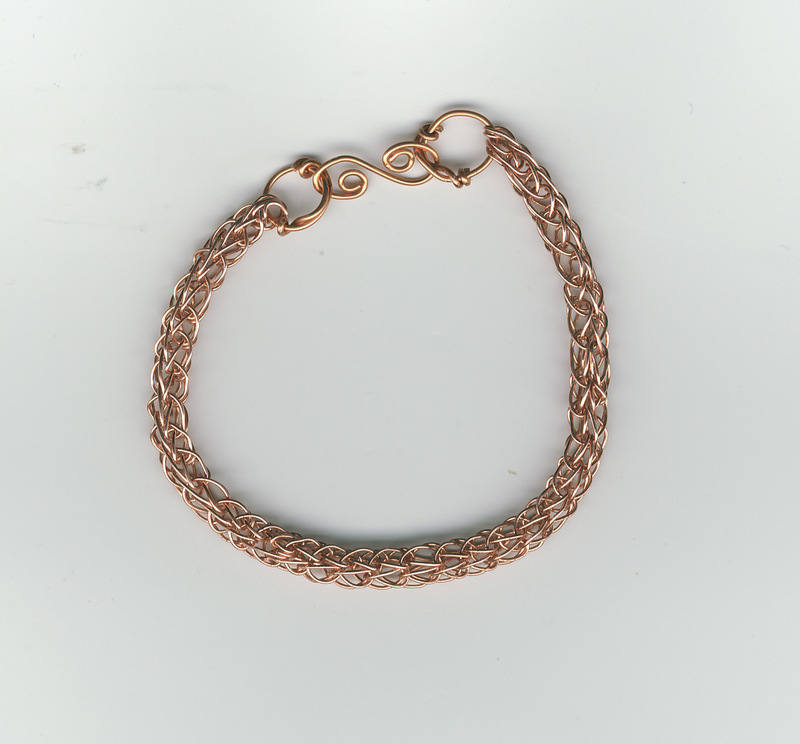 This bracelet, the one I made in class, used 3 36″ sections of 24 gauge copper wire with 20 gauge copper wire for the connector rings and s-clasp. Isn’t it pretty? 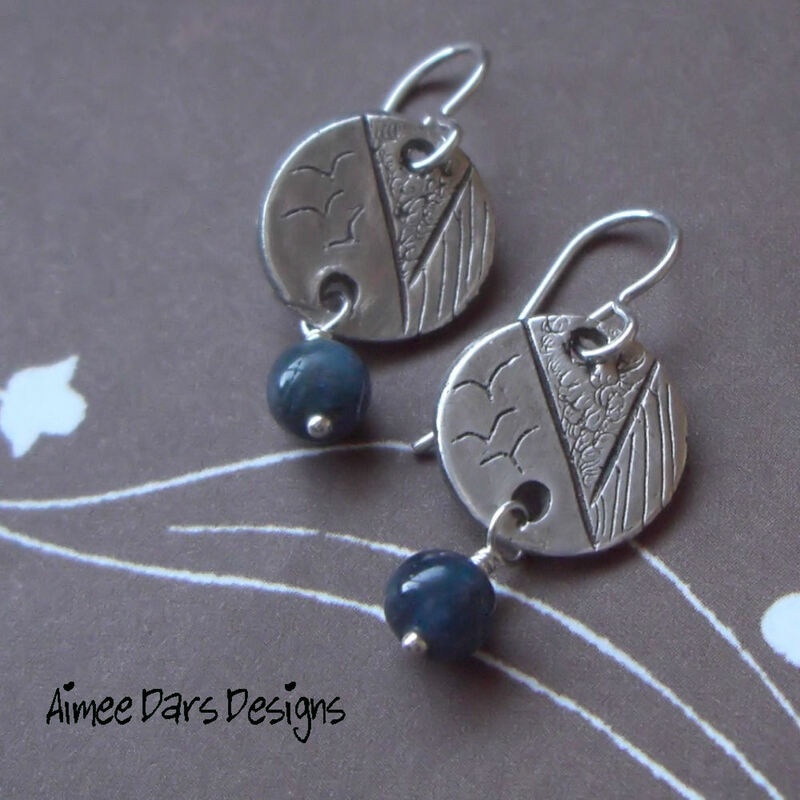 As soon as I get more practice, I’m going to make one in fine silver.